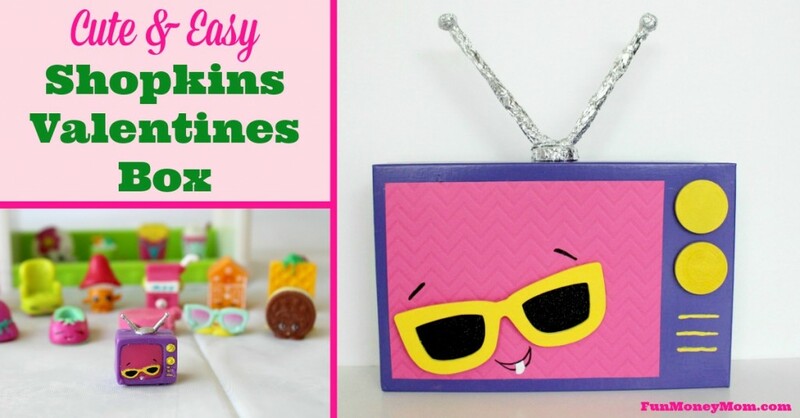 Looking for a fun Valentine Box for your little one? 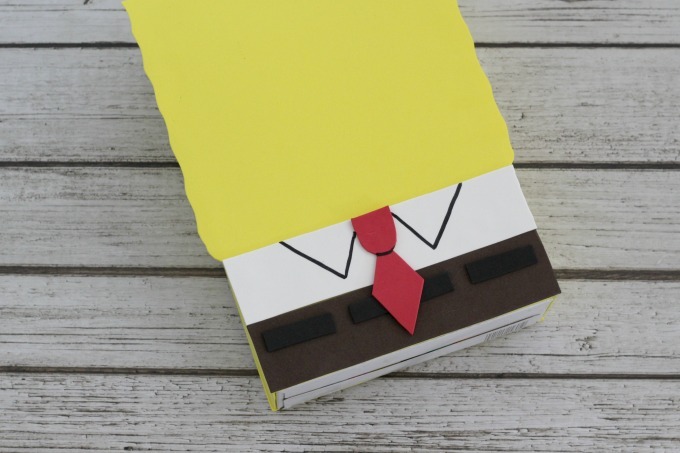 If they like Sponge Bob, they’re going to love this cute Sponge Bob Valentine Box. 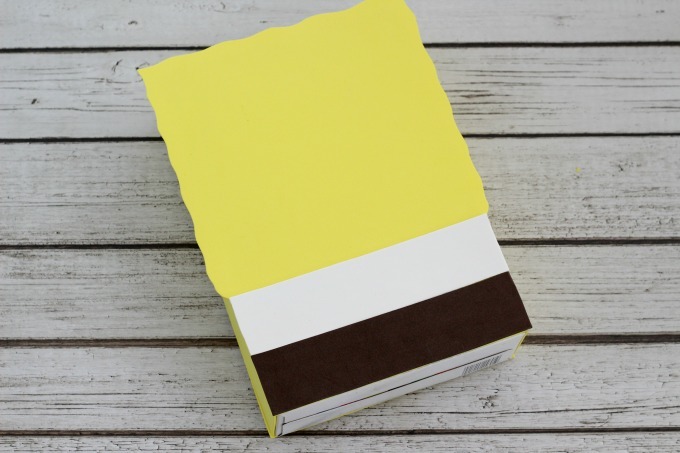 It’s easy to make too, especially using the free printable template! 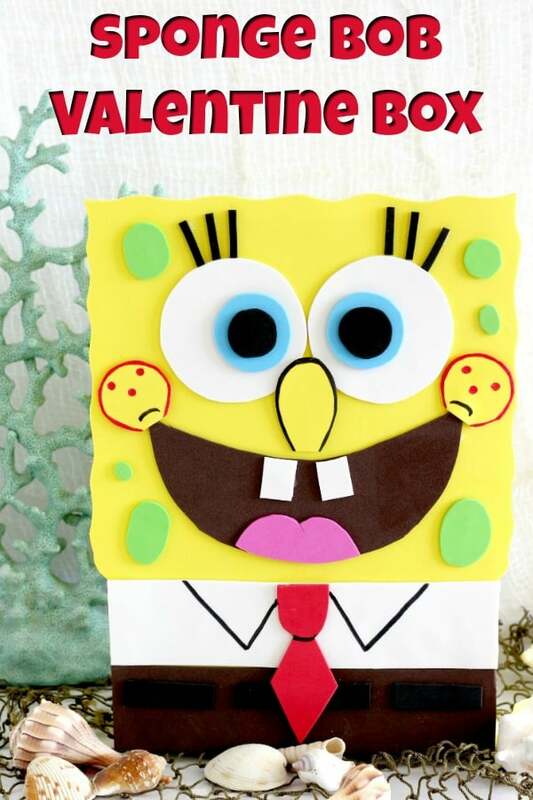 This post contains affiliate links to help you find the supplies you’ll need to make this Sponge Bob Valentine Box. The crafting spree has begun! 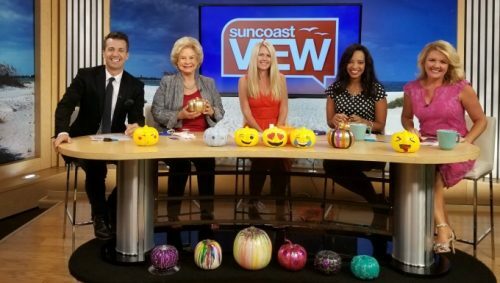 Every time I’m invited to be on Suncoast View to share crafts, I tend to go a little overboard! Last time it was pumpkin decorating and I lost track of how many pumpkins I made. Check out the pumpkin segment and you’ll see what I mean! This time it’s Valentine Boxes. 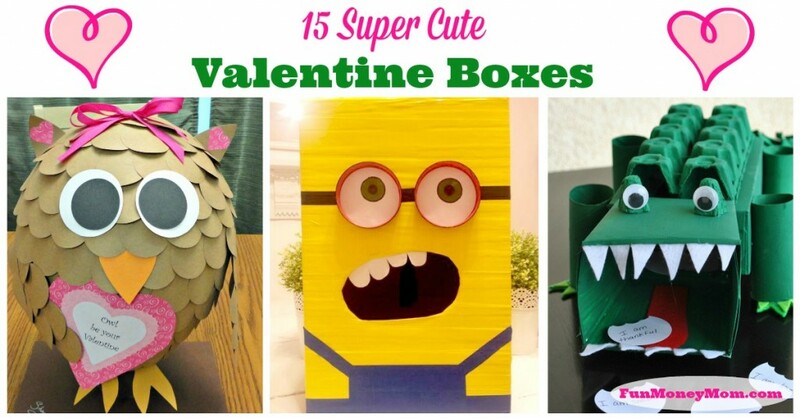 I’ve already made an awesome Harry Potter Monster Book Of Monsters Valentine Box from Harry Potter, which may just be one of my favorite crafts ever. I’ve also got a fun Shopkins Valentines Box, Chewbacca Valentine Box, and a super cute Heart Shaped Valentine Box. 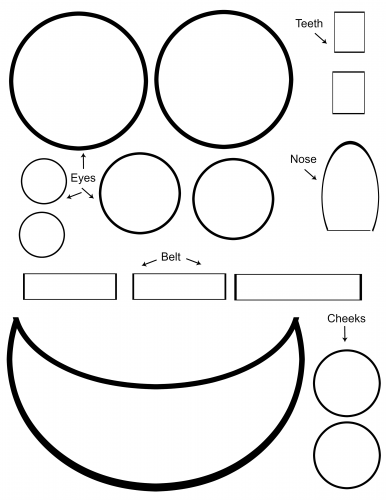 *You won’t use the entire foam sheet for most of these shapes so if you have scraps from a previous project, you may be able to use those instead. 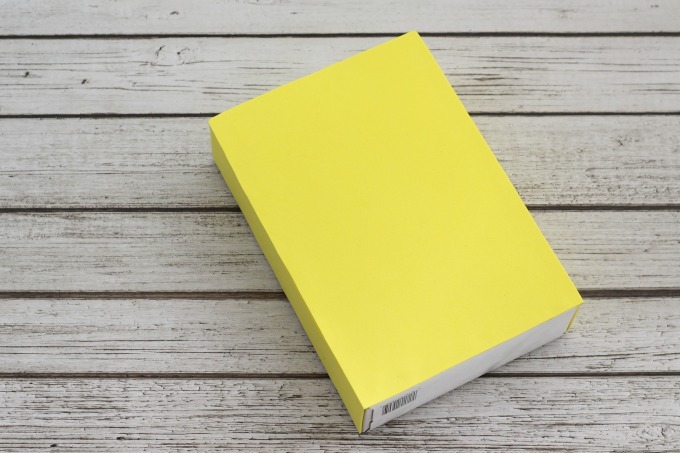 Start by printing out the templates. 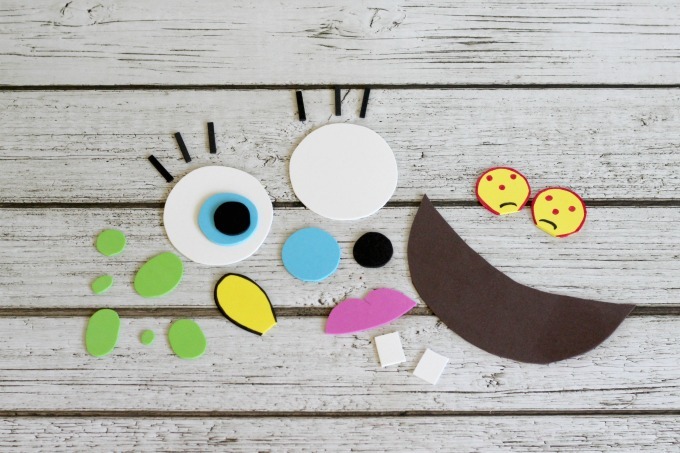 If you want to make it really easy or have your child do this craft completely on their own, they can use crayons to color the pieces. Otherwise, cut out the pieces and trace them on the foam. You can scroll down to use the pictures below as a guide to which color foam goes with each piece. 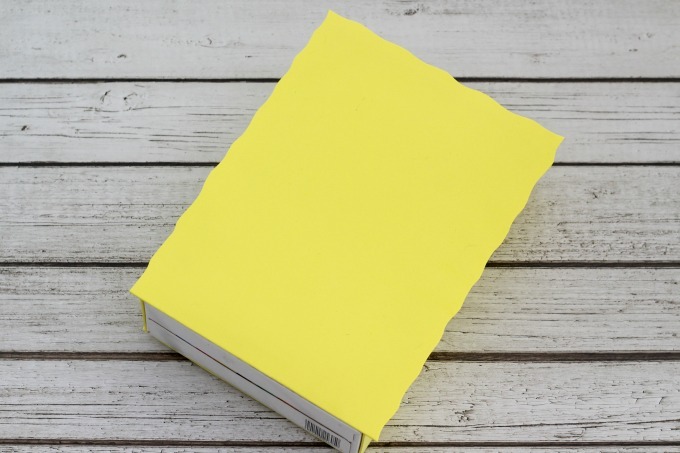 Just click on the template to print. 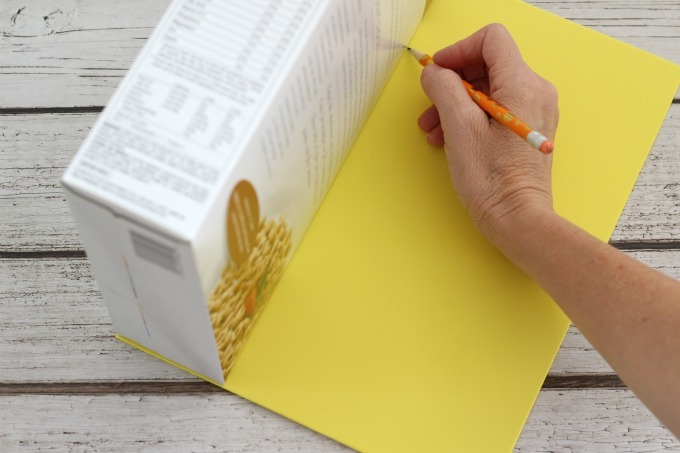 Now grab your cereal box and yellow foam. 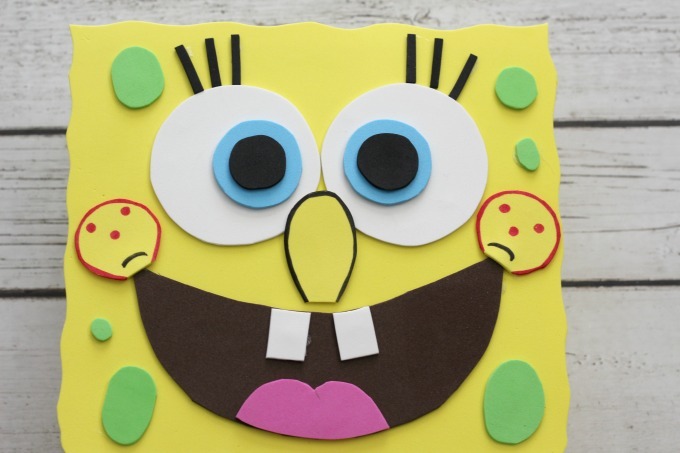 You can do this craft with a bigger box but if you do, you’ll need bigger foam sheets. Trace around the box to make pieces to cover the back, the two sides and the top of the box. I didn’t cover the bottom because I didn’t want it to be wobbly when it was standing up straight. 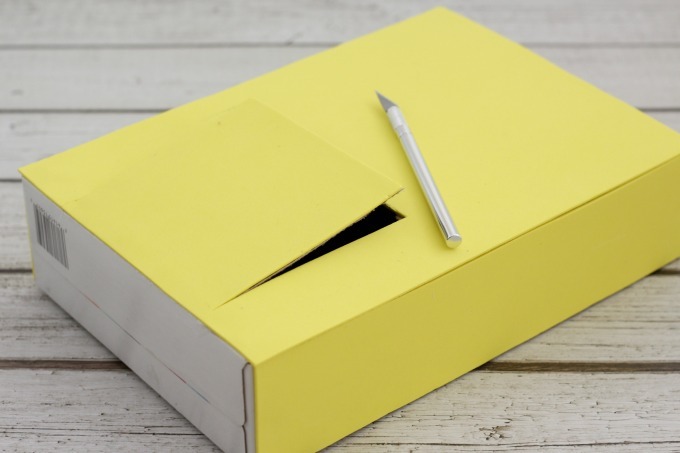 Glue the foam pieces to the sides and back of the box. 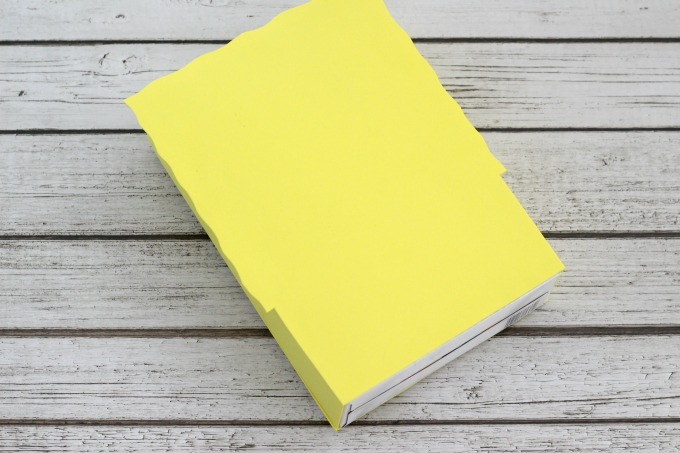 Using an X-ACTO knife or razer, cut a flap in the back. 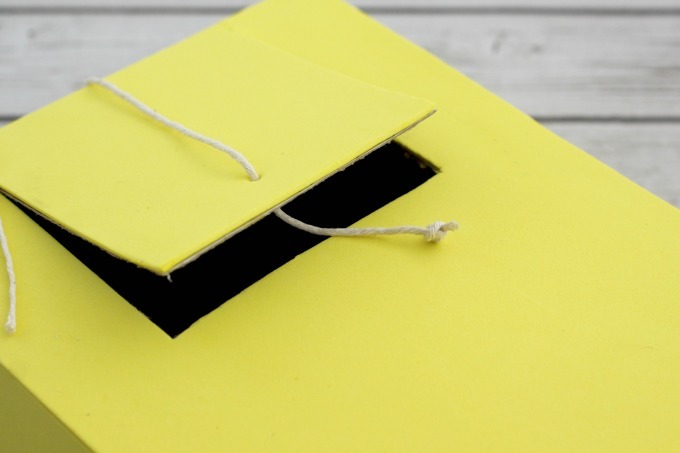 This is so you can get the cards and candy out. I used a glass marble to make the fastener but you can use whatever you have on hand…a button, a metal fastener, etc. 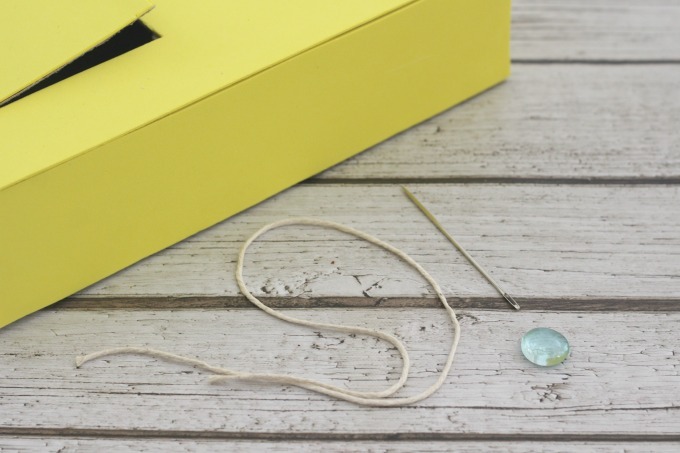 I used an oversized needle to pull the string through the box, then tied a knot in the end to keep it in place. 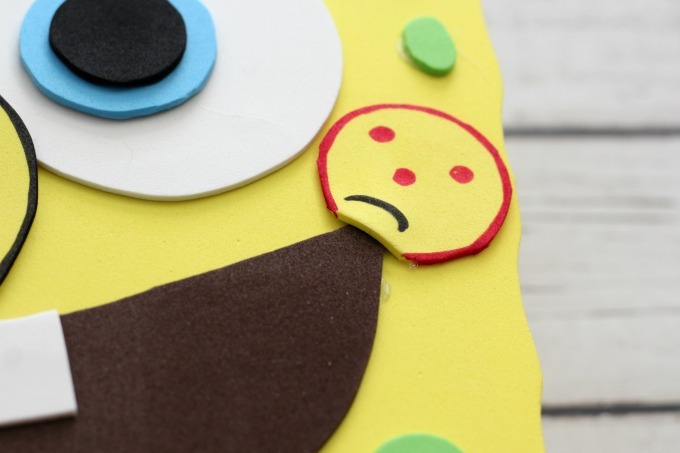 You can use a hole puncher or even the scissors if you don’t have a needle. Next I glued the glass piece in place and once the glue dried, wrapped the string around it to hold the flap shut. 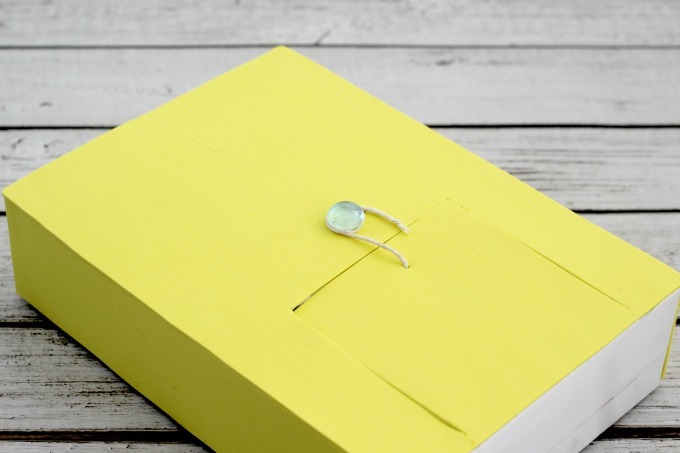 When you are gluing the glass piece, button or whatever you choose to use, be sure you don’t glue it flat against the box. Use a big dab of hot glue and don’t push it all the way down. You’ll want to be able to wrap the string around it. 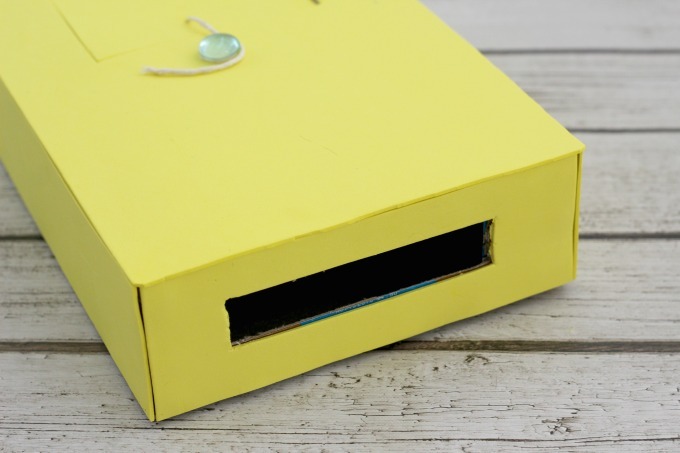 Now cut a slot in the top of the box so friends can deliver their Valentines. Now it’s time for the front. Before you glue the last piece of foam, you’ll want to slightly scallop the edges. Once you do that, glue the foam on, making the bottom edge flush with the bottom of the box, while the other three edges extend slightly over the sides. 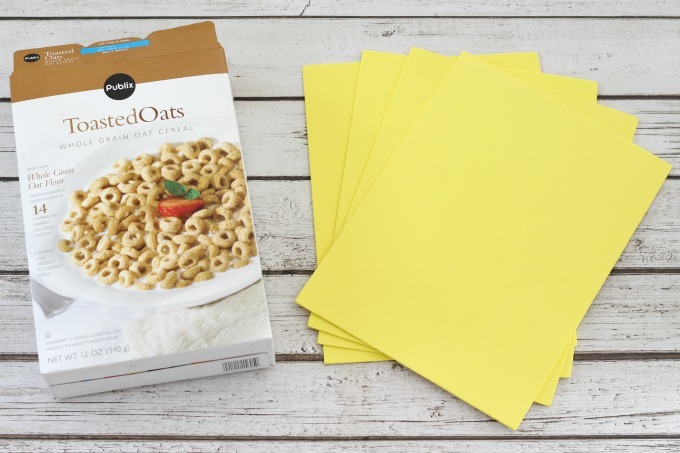 Approximately 1/3 up the side of the box, cut the yellow foam so that it’s even with the sides. Leave the top 2/3rds extending out. Cut equal size strips of white and brown foam to make the shirt and the pants. Glue them on, with the white above the brown. Glue the belt pieces, then the tie. Finally, use a black marker to make the collar. I did it in pencil first to make sure I liked how it looked and that it was even. Now it’s time for the face. The eyelashes are pretty easy so you won’t find those on the template. Everything else is there though. Place all the pieces on the yellow foam first, without gluing, to get a feel for how you want it laid out. 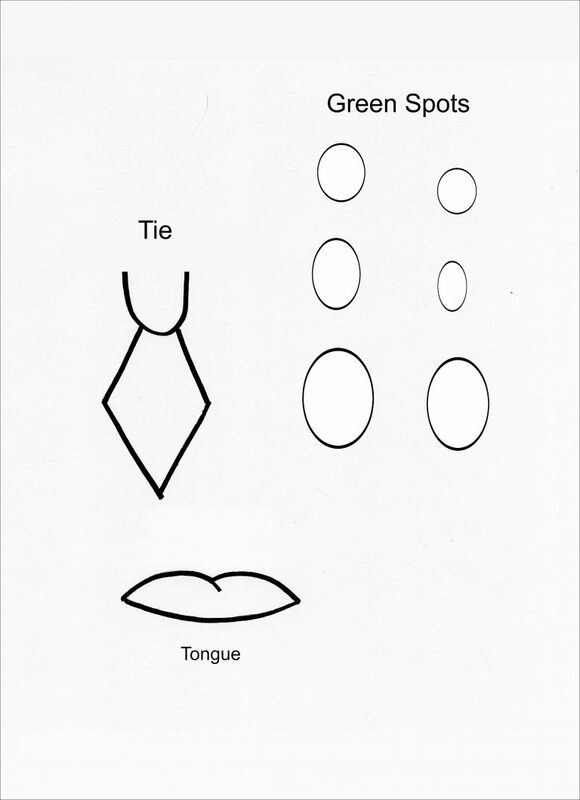 Then you can start by gluing the mouth, the teeth and the tongue. Now it’s time for the eyes. Glue the blue circles inside the large white ones, slightly off-center (see picture), then glue the black circles inside those. 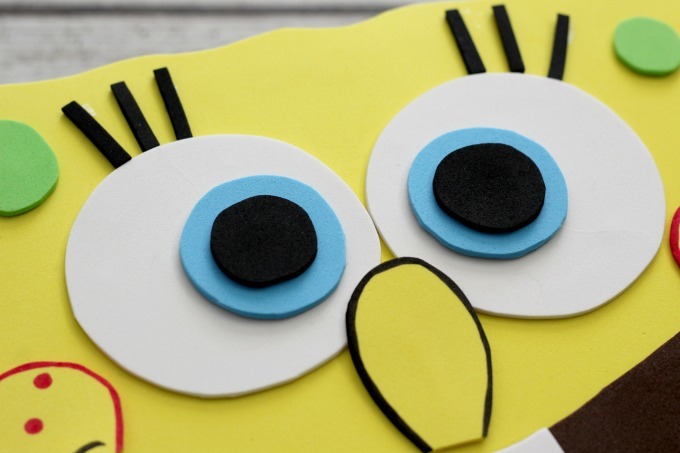 Glue the eyes, then the eyelashes, to the yellow foam. Since I cut the shapes out without a template (I made it afterwards), I used black marker to outline the nose so that it didn’t completely blend in. Then I glued that too, slightly overlapping the bottom of the eyes. Before adding the cheeks, I used a hot pink marker (red works too) to outline it and draw the dots. I also used a black marker for the smile line. The girls and I both thought the cheeks looked like sad little faces but since that’s how it looked online, that’s what I went with. 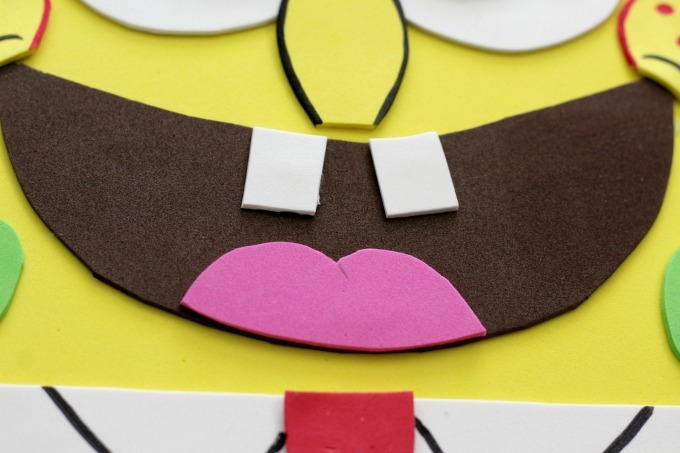 Glue the cheeks to the outer corners of the mouth. It’s totally fine if they overlap the eyes a little. They actually overlap the eyes in the online pictures, the spacing just didn’t work out that way on mine. Finally glue the green circles and ovals around the face. That’s it…easy, right? 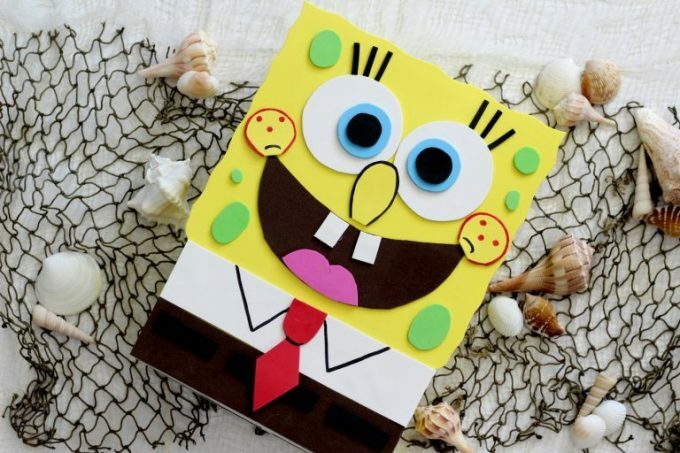 You now have your very own Sponge Bob Valentine Box! 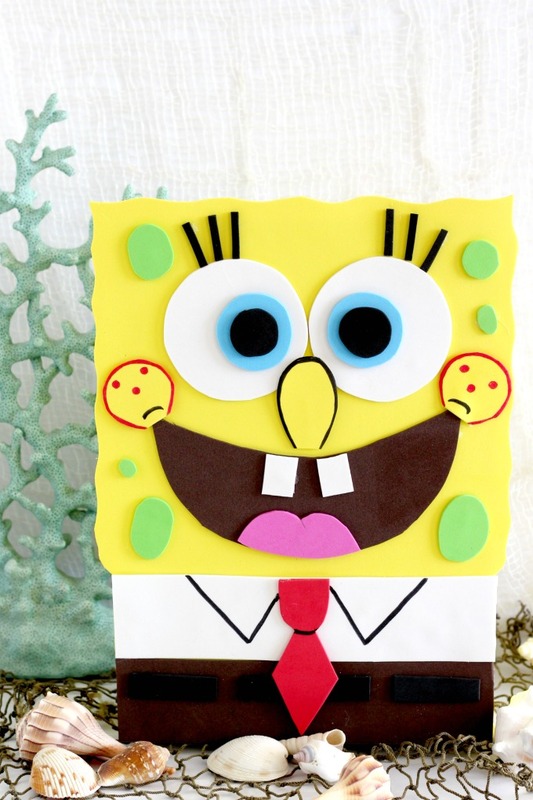 If your kid likes Sponge Bob, they’ll love bringing this guy to school for Valentine’s Day! Next up? Chewbacca! 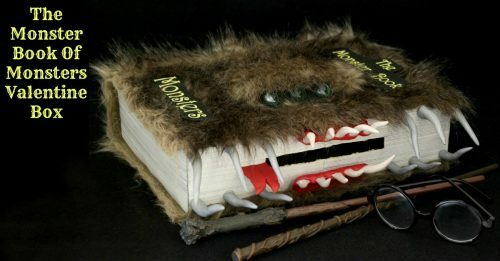 Since I had extra fur left over from the Monster Book Of Monsters and Chewbacca also happens to be my five year old’s favorite character, it just makes sense! What else do you think I should make? Leave your suggestions in the comments and if I think I can pull it off, I may just give it a try! If you liked this post, you may want to check these out. You can also visit my Valentine’s Day page with crafts, recipes & more.